At D6 Dental, we welcome new patients and we will make the first visit as comfortable as possible. We have expertise in all aspects of general dentistry, implant dentistry and specialist orthodontics. 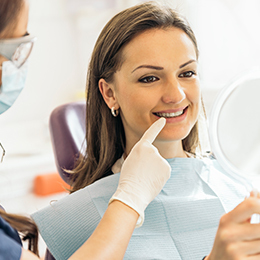 We particularly welcome patients with dental anxiety and we are one of the few practices to offer Intravenous Sedation and Inhalation Sedation for general dentistry. The first appointment is about getting to know you, and listening carefully to your thoughts and wishes. 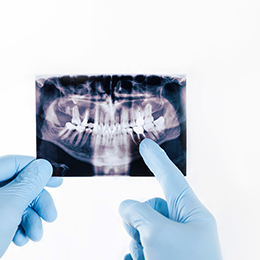 A thorough assessment of your oral health is carried out, including taking x-rays and dental photographs as necessary. If you have a dental emergency, your first appointment is directed towards stabilising the situation before bringing you back for a review appointment as required. Once the dentist has gathered all the information together, the diagnosis will be outlined to you in an open and honest manner. The Dental Care Plan involves discussing the treatment options open to you, as well as their associated investment. Once you are happy with the proposed Dental Care Plan, you will be provided with a printed estimate of proposed treatment and the number of appointments required. Occasionally, during a course of treatment, changes are required to a care plan, and if this is required, you will be informed at the earliest opportunity of the proposed changes including costs, before proceeding according to your wishes. Prevention is better than the cure. Once the care plan is completed, you will be advised of the most appropriate maintenance plan according to your needs. This may involve regular hygiene therapy to keep your mouth fresh and healthy, or it may just involve an annual review with your dentist to keep a close eye on things. Benefits from simple maintenance of your teeth. How to maintain dental health. 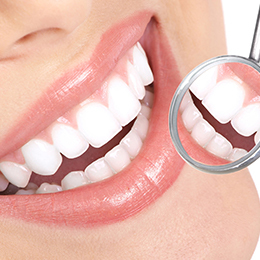 Regular dental assessments and hygienist care are key to maintaining a fresh and healthy smile for life. Here at D6 Dental, we tailor your regular hygienist attendance programme according to your needs to keep your oral health maintained. Prompt and early diagnosis of any problems, even if you have no symptoms, will mean less extensive treatments over your life-time. We routinely contact our patients on an annual basis to check things over.